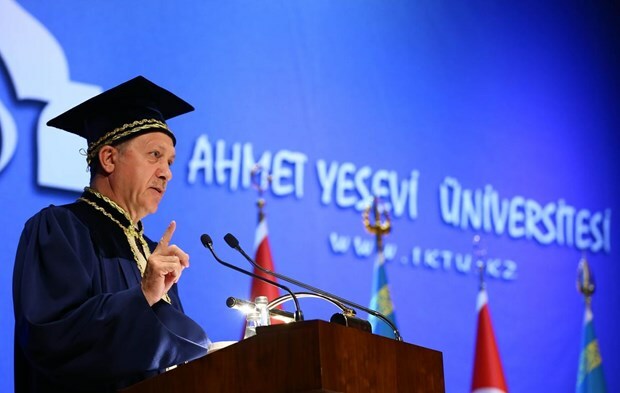 A total 19,828 academics have been dismissed, stripped of the right to teach at universities or have become unemployed due to the closure of their universities by the Justice and Development Party (AK Party) government, BBC Turkish reported on Sunday. According to the report, 3,850 academics have been directly dismissed as part of an investigation targeting the Gülen movement, which is accused by the government of masterminding a coup attempt on July 15, with state of emergency decrees issued following the putsch. A total of 13,170 academics who were part of a program for training lecturers were deprived of the right to become university staff through another state of emergency decree. Some 2,808 academics became unemployed when the government closed down 15 private universities on July 23 with a state of emergency decree. Academics from the now-closed Zirve University told BBC that their applications for a job have been rejected by other universities. One of the academics at Zirve University told BBC that he was fired from a clothing store when his boss learned that he had been working for Zirve University. “We have been treated as if we were suffering from an epidemic by the universities to which we applied. I have been working for a high school preparation course, without social security and receiving half the minimum wage,” said one of the academics. Academic Nuriye Gülmen, who was suspended for alleged ties to the Gülen movement, has been detained 13 times due to her protests in front of the human rights monument in Ankara. Gülmen told BBC she was determined to continue her protest. Semih Özakça, an academic who was also dismissed under a state of emergency decree, joined Gülmen in her protest. “They detained and tortured me. They can detain me 20 times. I have the strength of being right,” said Özakça. About 115,000 people have been purged from state bodies, in excess of 92,000 detained and over 39,000 have been arrested since the coup attempt. Arrestees include journalists, judges, prosecutors, police and military officers, academics, governors and even a comedian. This article originally appeared in Turkish Minute on Nov. 28.